You're A 'Bible-Believing Christian' And You Believe What!?! Someone recommended I check out a blog called The Messed Up Church the other day to specifically read one post in particular. More to the point, it involves the Bible-Believing Christian who believes so many things that aren't actually found anywhere in the Bible. So, I thought it was the perfect time to reference it here after the previous "Sola Scriptura" piece I just published earlier today. It's absolutely incredible (though not terribly surprising given what the Word of God tells us to expect about these last days) how many "Bible-Believing" Christians believe in so many "truths" never even mentioned once in the entire Bible, isn't it? I hope that concerns you as much as it concerns me. I'm willing to bet that every single one of us knows at least one person who could benefit from reading this. In fact, it might even be you yourself who has benefited from having your eyes and ears finally opened to the truth shared here today. Either way, praise the Lord for faithful men and women like the individual who wrote that, because there willingness to confess the truth regardless of the personal cost to themselves is how to "love your neighbor" (and their soul), IMHO. If it weren't for people who wrote similar things over the course of the past few years (and who felt obliged to contact me to share it), then I might have already caused "shipwreck" to my faith (1 Timothy 1:19) and wouldn't be here typing this right now. There are quite a few loved ones in my life that need to read this for sure, but I know that just publishing a study like this here today on my blog will instantly make things even more difficult for me and my family. We'll be attacked, marginalized, ridiculed and treated as though we're the "false teachers" who are always so "divisive" and "unloving" all the time. As painful as it is to have to go through it, that's ok, because I know why Christians today are falling for these false doctrines. It's ok, because I know how we Christians are supposed to respond. Jude 1:23 (ESV) save others by snatching them out of the fire; to others show mercy with fear, hating even the garment stained by the flesh. It's alright, because I know the true Gospel of Jesus Christ and will continue to share it with those who need to hear it, trusting the Holy Spirit to work through the Word to convert them from such destructive doctrines of demons. 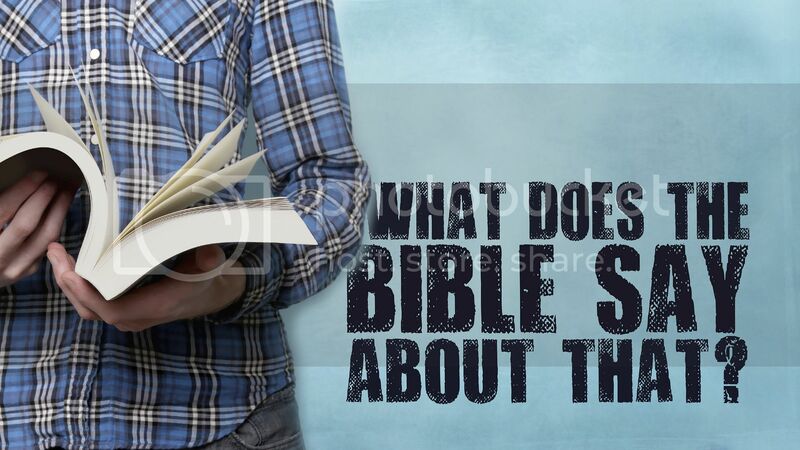 In a Lutheran layman's terms, if you're a so-called "Bible-Believing" Christian, then don't you think it's time you started believing what the Bible actually says, and stopped believing everything it doesn't say?